This article will focus on working with ETags in Spring, integration testing of the REST API and consumption scenarios with curl. This article introduces Spring REST Docs, a test-driven mechanism to generate documentation for RESTful services that is both accurate and readable. A quick intro to using a custom media type in a Spring REST API. An extensive look at how to implement a simple API with pagination with Spring and how to consume it with AngularJS and UI Grid. An ETag (entity tag) is an HTTP response header returned by an HTTP/1.1 compliant web server used to determine change in content at a given URL. We can use ETags for two things – caching and conditional requests. The ETag value can be thought of as a hash computed out of the bytes of the Response body. Because the service likely uses a cryptographic hash function, even the smallest modification of the body will drastically change the output and thus the value of the ETag. This is only true for strong ETags – the protocol does provide a weak Etag as well. Using an If-* header turns a standard GET request into a conditional GET. The two If-* headers that are using with ETags are “If-None-Match” and “If-Match” – each with its own semantics as discussed later in this article. And there you have it – ETags in the wild and saving bandwidth. We’re mapping the filter on the same URI pattern as the RESTful API itself. The filter itself is the standard implementation of ETag functionality since Spring 3.0. 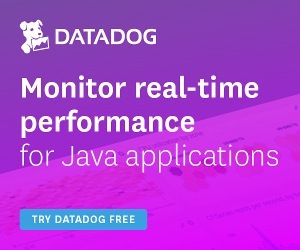 The implementation is a shallow one – the application calculates the ETag based on the response, which will save bandwidth but not server performance. So, a request that will benefit from the ETag support will still be processed as a standard request, consume any resource that it would normally consume (database connections, etc) and only before having its response returned back to the client will the ETag support kick in. At that point the ETag will be calculated out of the Response body and set on the Resource itself; also, if the If-None-Match header was set on the Request, it will be handled as well. A deeper implementation of the ETag mechanism could potentially provide much greater benefits – such as serving some requests from the cache and not having to perform the computation at all – but the implementation would most definitely not be as simple, nor as pluggable as the shallow approach described here. Finally, if we’re not using Spring Boot we can set up the filter using the AbstractAnnotationConfigDispatcherServletInitializer‘s getServletFilters method. This method was introduced in Spring framework 4.1, and we can use it to control the ETag value that a single endpoint retrieves. For instance, imagine we’re using versioned entities as an Optimist Locking mechanism to access our database information. The service will retrieve the corresponding 304-Not Modified state if the request’s conditional header matches the caching data. Response findOneResponse = RestAssured.given().header("Accept", "application/json"). We have only used ETags for read operations. An RFC exists trying to clarify how implementations should deal with ETags on write operations – this is not standard, but is an interesting read. There are of course other possible uses of the ETag mechanism, such as for an Optimistic Locking Mechanism as well as dealing with the related “Lost Update Problem”. There are also several known potential pitfalls and caveats to be aware of when using ETags. This article only scratched the surface with what’s possible with Spring and ETags. For a full implementation of an ETag enabled RESTful service, along with integration tests verifying the ETag behavior, check out the GitHub project. Are you aware of any deep etag support in Spring? There is no out of the box support for that unfortunatelly, at least none that I’m aware of, but I have seen custom implementations that did that well. I would like to caching some data in rest api layer with an application scope (the data are static for all the clients) to avoid to calling the backend . In this context the Etag is not the correct solution (because depends on the client). According to you, could be this “http://java2practice.com/2013/03/23/spring-cacheable-and-cacheevict-explained-in-simple-terms/” a good solution? Thank you for the reply. My use case: recovering the classical “list of countries” from DB (that in browser client will be displayed in a select). I want to cache the list in the Rest API layer, so that the call to the backend will be made only the first time by the first client. Sure – you can use a cache for that.